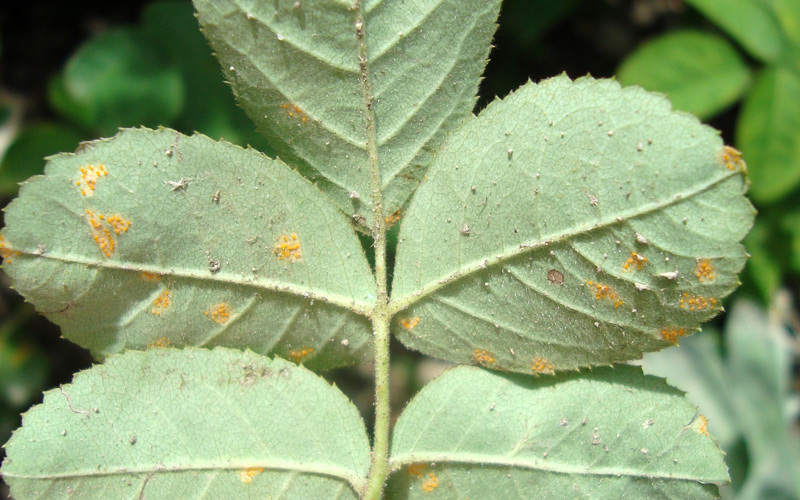 Creates postules or markings on the leaves that often look like iron oxide (rust) and often causes leaves to twist or distort. 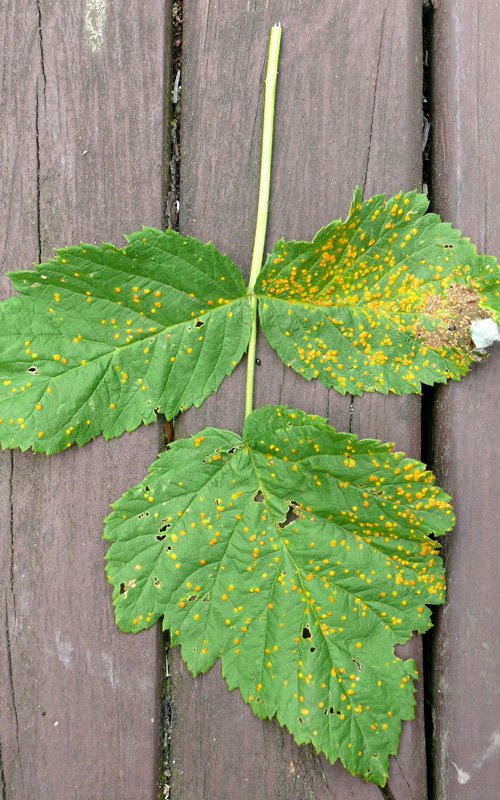 A wide variety of garden plants are affected by rust. 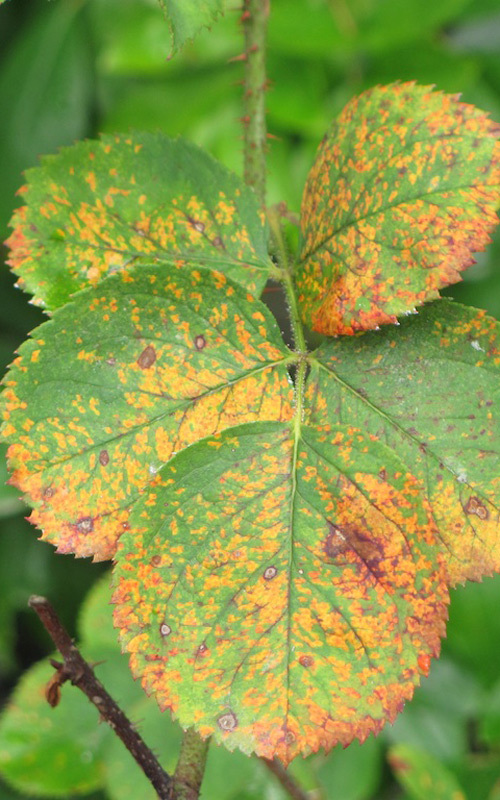 The disease is unsightly, and can affect the vigour and yield of plants. 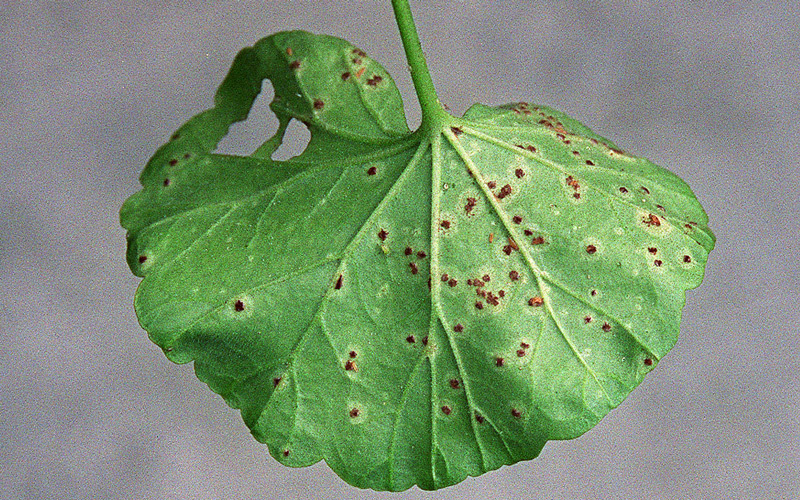 Severely affected leaves may turn yellow and distort. Postules are often reddish brown, though some rusts come in other colours, including yellow, white, and black. Similar rusty patches can be caused by nutrient deficiencies, sun burn or wind. But a close look should allow you to distinguish between the two as rust normally forms lots of little spots. 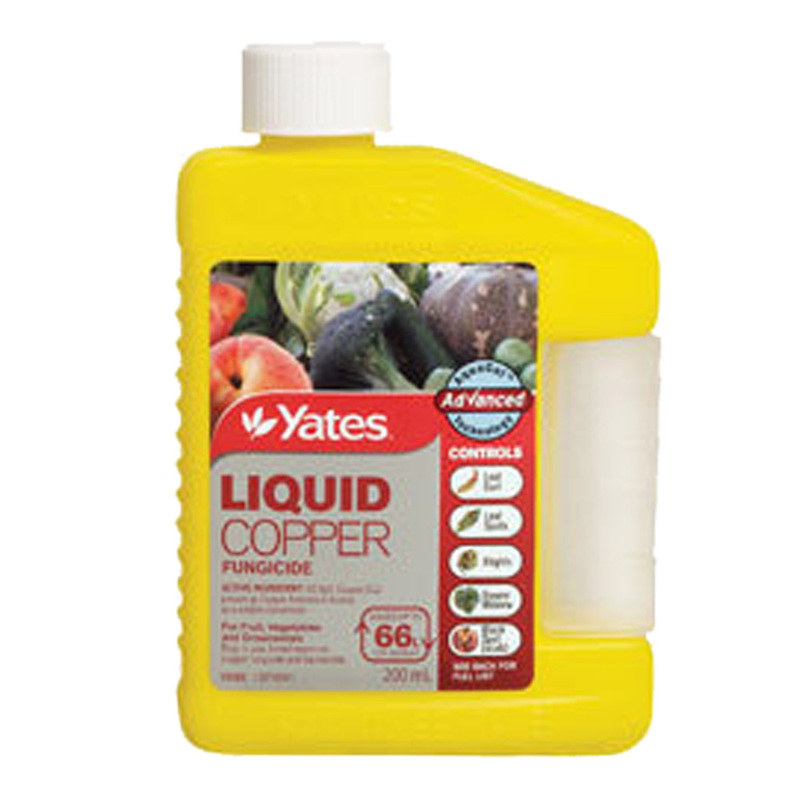 Where possible, water in the morning and avoid wetting the foliage of plants susceptible to rust, such as: Celery, Garlic, Silverbeet, Roses, Snapdragons, Gerberas, and Geraniums. Healthy plants are less susceptible to fungal problems, so ensure plants are well fed and watered (when necessary). Remove affected leaves. In worse cases follow up by spraying leaves with Liquid Copper. Spraying 4 times a year with a copper spray is often allowed under organic certification. Note: Avoid spraying when rain is expected or when plants are dry and suffering from moisture stress.